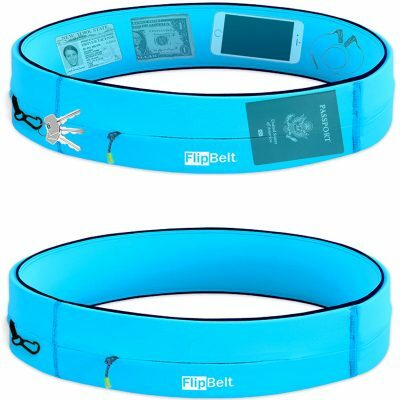 SKU: N/A Category: FlipBelts Barcode: 812172021635. 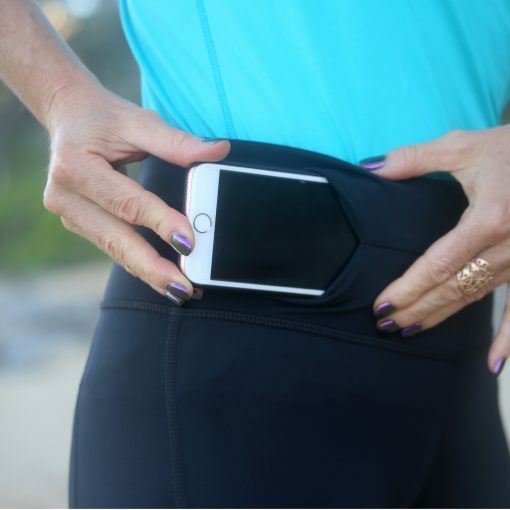 The only pair of running pants with an integrated FlipBelt waistband that discretely secures your essential items while you’re running, in the gym, and on the go. The front access points make it easy go hands-free with any phone on the market. You can also store your keys, gel, water, and more. An internally secured key hook gives you extra peace of mind to keep your keys or wedding band safely tucked into the legging’s waistband. 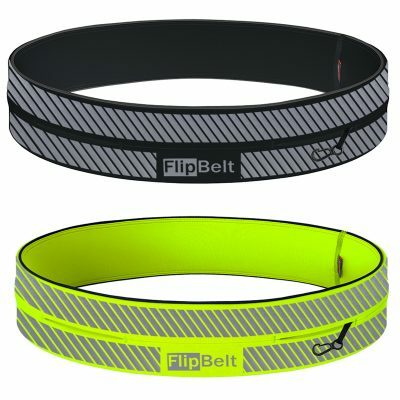 FlipBelt Capri Pants are arguably the most technical activewear and running tights available today. They have an integrated FlipBelt waistband, incorporating both form and function into a pair of running and workout pants like never before. Every detail, from the anti-chafe flat seam construction to the perfectly breathable moisture wicking material, has been meticulously crafted with your active lifestyle in mind. 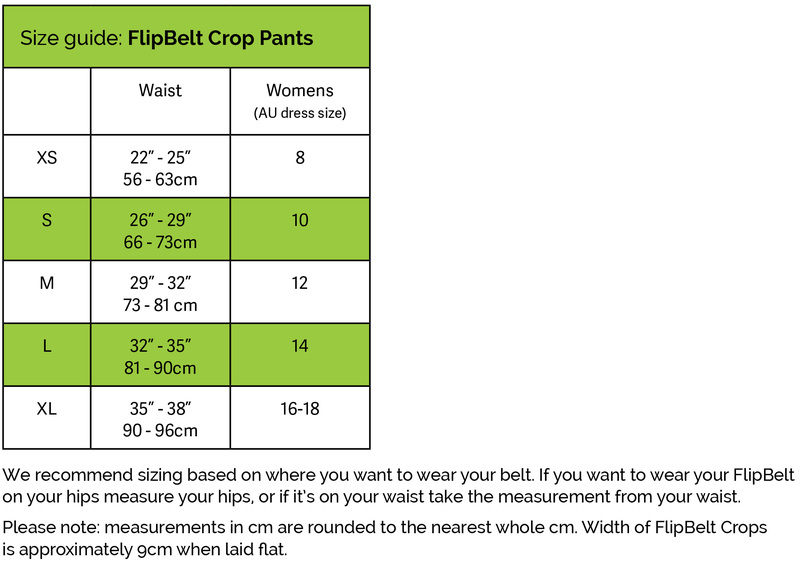 FlipBeltCapri Pants are comfortable, flattering, and set a new standard for activewear functionality. 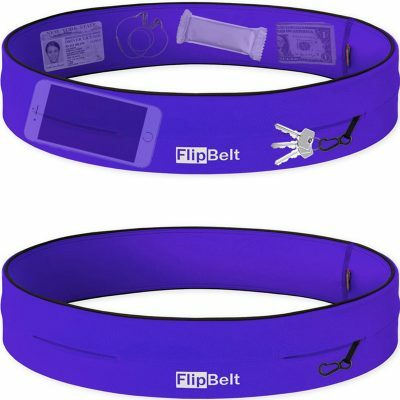 In 2012 FlipBelt revolutionised the waist pack for running and fitness enthusiasts with one of the highest rated accessories in the sports and outdoors market. We’ve taken the same methodical approach in the design of our new athletic leggings to ensure they’ll be your favourite piece of running and fitness gear.